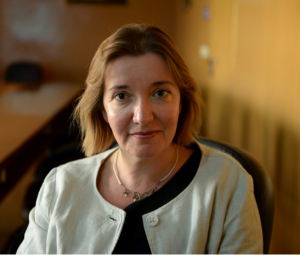 Belinda Bell is Programme Director of Cambridge Social Ventures, part of the Cambridge Centre for Social Innovation, supporting a wide range of businesses making social and environmental impact. She is a social entrepreneur herself having established a range of social ventures over the last decade including those focusing on finance, ageing and young people. She has acted as a mentor, advisor and supporter to many more social entrepreneurs and as such has developed a broad knowledge of business models for social innovation. Her specific interest is in the social finance market and leveraging capital for social impact. She was Founder and first Chief Executive of Foundation East, a groundbreaking community finance organisation where she remains a Director. She has also undertaken research at the University of Cambridge focusing on the social finance sector and continues to write on this topic. Belinda holds a Masters Degree in Community Enterprise from the University of Cambridge and a Bachelors degree in Social Anthropology from Goldsmiths College, University of London. The variety – I know about the generalities of business and social business, but every day I learn about specifics in different fields from the entrepreneurs I work with. Entrepreneurs who are working on issues that have personal resonance for them, and yet manage to retain sufficient professional distance to build successful ventures. What would be your top tip to someone looking to do what you do? Be curious; be honest; don’t be afraid to show you care. Together with my colleague Dr Neil Stott we won an award from the Vice-Chancellor of Cambridge university last year which recognized our work linking together real people in communitie with the benefits of research from the University. Operating on this cusp, and interpreting across it to drive genuine social outcomes is what we are trying to achieve.